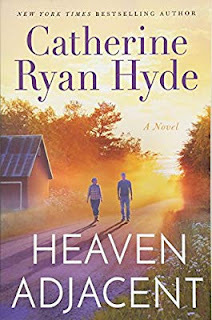 There are three compelling new works of fiction out now, The Secrets We Carried by Mary McNear, Jane Doe by Victoria Helen Stone, and Heaven Adjacent by Catherine Ryan Hyde. The Secrets We Carried is the thrilling finale to Mary McNear's bestselling Butternut Lake series. Long-time fans will be delighted to return to this beloved setting and its charming characters, while readers new to these works are also sure to enjoy it. 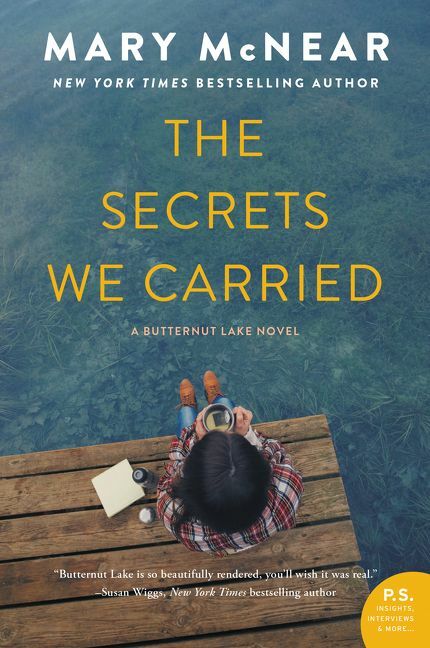 Butternut Lake is an idyllic place, but the return home for one woman is bittersweet. Quinn LaPointe grew up on beautiful Butternut Lake, safe, secure, sure of her future. After a high school tragedy, she left for college and never looked back. She became a successful journalist in Chicago and worked to keep out the dark memories of an accident that upended her life. After ten years, she is returning home. McNear writes, "Why am I here? Quinn thought, sitting in her idling car in the parking lot of the Butternut Motel in a cold, bluish twilight in late March. Here was the town of Butternut, Minnesota, her home for the first eighteen years of her life, and by all accounts an idyllic and lovely place, with quaint shops, small houses, and a beautiful lake surrounded by great northern pines. It was her home, if home was the place you were born and grew up. But for Quinn it was also the place she'd avoided for the last ten years. "Who was it who wrote 'you can't go home again'? She wondered now. Thomas Wolfe, she decided, and, for a moment, she wasn't in a motel parking lot but was back in her AP English class in the fall of her senior year, Mrs. McKinley droning on about autobiographical fiction while the boy at the desk next to Quinn doodled an image from World of Warcraft in the margin of his notebook. No, she thought. Thomas Wolfe was wrong. At least in her case. You could go home again. Maybe you should listen to the same voice that, a decade earlier, had said, as you packed your suitcase after graduation, Leave, leave now, and don't come back." Butternut Lake is the same, and yet everything is changed. Gabriel Shipp, once her very best friend, doesn't want anything to do with her. Tanner Lightman, the charming older brother of her late boyfriend, wants her to stay. Annika Bergstrom, an old classmate who once hated Quinn, is now friendly to her. Everyone, it seems, is holding on to a secret. With a determination to come to terms with the tragedy and to rebuild old relationships, Quinn settles into Loon Bay Cabins, a rustic but cozy lakeside resort, where she begins writing down her memories of the year ahead of the accident. Her journey through the past leads her to some surprising discoveries about the present. As secrets are revealed and a new love emerges, Quinn finds that understanding the past is the key to the future. 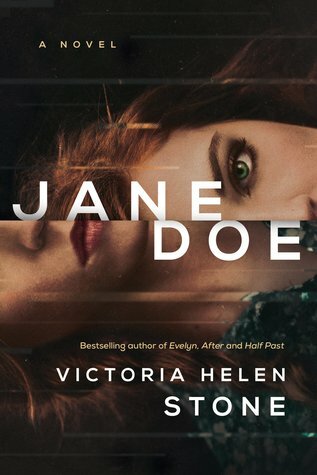 The psychological thriller Jane Doe focuses on Jane, who just started working at a Minneapolis insurance company. Her days there are perfectly ordinary, blends in well, is unremarkably pretty in her flowery print dresses and extra efficient at her low-level job. Jane is just the type of woman that middle manager Steven Hepsworth likes, meek insecure, and willing to defer to a man. Stone, in the voice of Jane, writes of the first time she sees Steven, "I see the moment he first notices me. The slight double take as he spots the new girl in the office. I don't notice him in return. I make sure of it. "He's a man who likes to think he's in charge. He's afraid of women who come on strong. How could you ever control a girl that bold? So I only watch through my lashes and keep my face turned toward my work. "My job doesn't require much concentration. There's no evidence of my true history on the resume I submitted to this office, but I'm one law degree and six years of experience too qualified for this kind of work. Still, data entry is soothing. It's satisfying in a way that legal work isn't. I settle back into the rhythm of it and ignore him completely. He isn't the boss. Steven Hepsworth is a classic middle manager. He shows respect to the bigwigs. He's decent at his job. He has an MBA and is Caucasian and classically good-looking, so he'll do fine in life. A great catch. "I noted his easy good looks during my orientation tour of the office yesterday. He uses too much gel in his hair, but he smiles a lot and the smiles feel genuine. The warmth of his brown eyes invites you closer. They distract from the weakness in his chin. People like him. The other women in the office flirt when he speaks to them. He's a nice guy. "Someone brings me a stack of records for input, and I put Steven Hepsworth out of my mind for the rest of the day. I'll flirt with him like the other women do. But not yet." No one has any idea who Jane really is, least of all Steven. Jane is hiding something, and Steven is bringing out the worst in her. Nothing can distract Jane from going straight for his heart, allowing herself to be seduced into Steven's bed, to insinuate herself into his career and his family, and to expose all his dirty secrets. It's time for Jane to dig out everything that matters to Steven in order to take it all away, just as he has done to her. Jane Doe is a book is full of many twists and turns that will keep you on the edge of your seat. Heaven Adjacent, the latest work from New York Times bestselling author Catherine Ryan Hyde, is a bittersweet novel about healing old wounds and finding a new place to call home. Roseanna Chaldecott spent her life as a high-powered lawyer in Manhattan, but something snaps when her best friend and law partner dies suddenly. Unsure of her future, Roseanna heads upstate on one tank of gas and with no plans to return to the city. In the foothills of the Adirondacks, Roseanna comes upon the perfect hideout in a ramshackle farm. Its seventy-six acres are rich with possibilities and full of surprises. Roseanna discovers that a mother and daughter are squatting on the property, but despite company being the last thing she wants, she reluctantly lets them stay. Roseanna and the young girl begin sculpting junk found around the farm into zoo animals, drawing more newcomers, including her estranged son, Lance. He pleads with Roseanna to come back home to the city, but she has finally discovered where she belongs. This may not provide the solitude she originally thought it would, but her heart has found room for much more. For Yankees, Are The Playoffs Still A Certainty? Books: "Summer at the Garden Cafe"
McCutchen On Joining Yankees: " I'm ready to go"